At last atomic bombs were dropped on this planet as well. 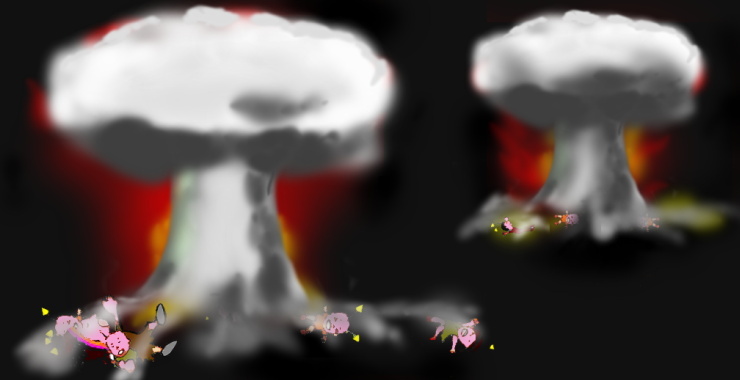 The diamond nation dropped atomic bombs on two of the enemy's cities. Hundreds and thousands of people lost their lives. The people with triangle antennas surrendered. People all over the planet were naturally overcome by fear and it was this fear that made them develop nuclear weapons in order to avoid leading the same destiny as their predecessors.